A lesser known sight in the nebula-rich constellation Orion, NGC 2174 can be found with binoculars near the head of the celestial hunter. About 6,400 light-years distant, the glowing cosmic cloud surrounds loose clusters of young stars. 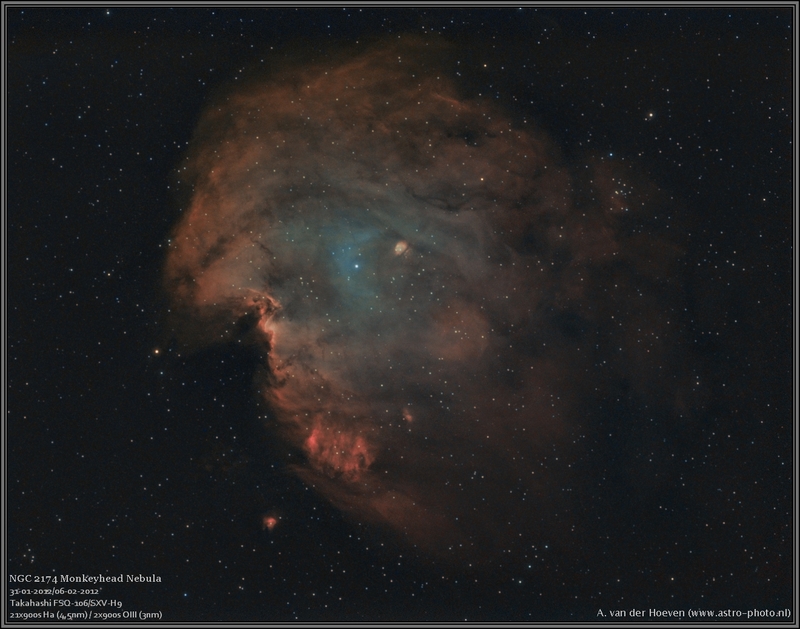 Covering an area larger than the full Moon on the sky, this stunning narrow band image adopts a bi-color mapping of the atomic emission from NGC 2174. The false-color mapping shows red hydrogen emission and oxygen in blue.